420 Million IOST comes from Token Issuance. 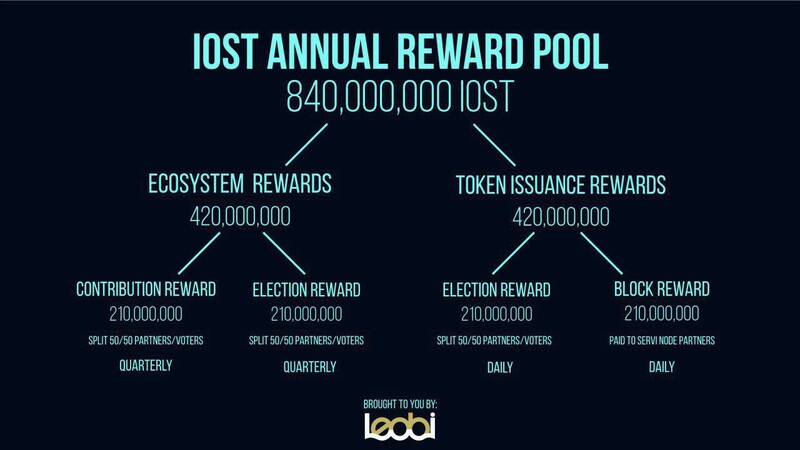 the contributions that you made, scored by the IOST Foundation (210 Million IOST). the number of blocks you produced (210 Million IOST). Block production rewards are only given for Servi Nodes who operate servers meeting the minimum server requirements. Light Nodes do not qualify. If a Servi Node has problems producing blocks, it will be penalized if it affects the operation of the IOST Mainnet. The prerequisite for elected Node Partners to successfully claim any rewards (whether daily or quarterly) is that you need to maintain your status as an elected Node Partner (2.1 Million votes and above) at time of rewards issuance. Rewards issued (whether daily or quarterly) are not affected by any subsequent change in votes, and can be collected at any time without deadline. 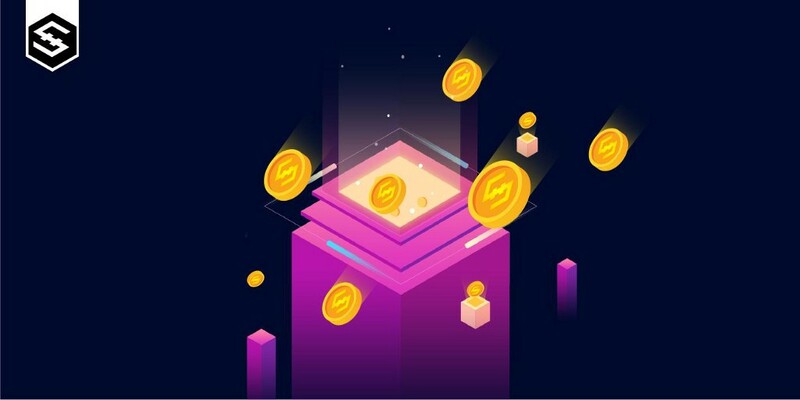 The system will issue the daily voting rewards every 24 hours, and distribute it according to the proportion of votes obtained by each Node Partner at the time of issuance. IOST Enters Exponential Growth | Wallets Doubled In Just One Week, Transactions Exceeded Ethereum.